Fitness and fun for the mind and body. Little Yogis take to the mat and gain Poise, Posture and Wisdom. Village Yogi’s transform into Eagles, Warriors, Cobras, Downward Dogs, Cats, and Heroes. Our Yoga classes are designed to engage junior yogis through age appropriate postures and fun activities. 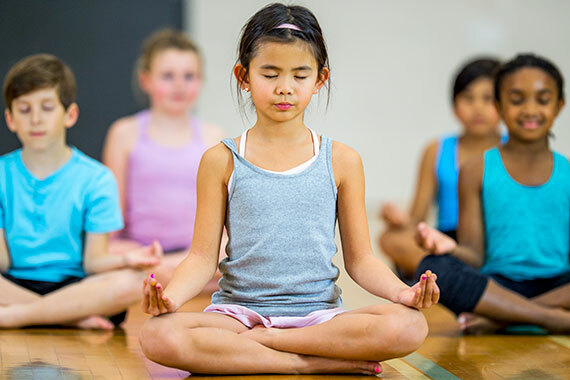 Yoga for Kids provides benefits of increased focus and flexibly, students gain greater self-esteem and compassion for others. Come join the fun!